1. He describes where we were outside of Christ and apart from Christ (vv. 1-3). We were immature slaves. 2. He describes the glory of the incarnation, God moving toward us in Christ (v. 4). 3. He describes the miracle of both redemption and adoption (v. 5). 4. He describes the miracle of sanctification by the indwelling Spirit of God (v. 6). 5. He describes the present reality of our new status as sons, which pushes us to the horizons of this life and to the final stage of glorification (v. 7). We are the true heirs of God through Christ (dia Christou). All his riches are available to us now, however clouded, and will be revealed to us fully, as he wills in the future. 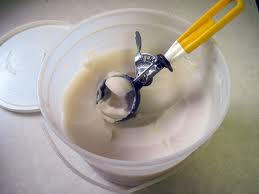 God’s child is like a poor peasant who has been taken out of the mire and raised in a position as prince of the realm. The adopted prince lives in the palace, has free access to the king, and enjoys the king’s favor, love, and protection. The prince tells the king that he cannot comprehend the greatness of the king’s love; it is unspeakably great to him. The king responds: “You have not begun to see the extent of it. Your inheritance is still coming to you” (pp. 70-71). Thomas Watson wrote that it would be much for God “to take a clod of dust and make it a star; it is more [however] for God to take a piece of clay and sin and adopt it for his heir” (in Heirs with Christ, pp. 41-42). I attended the Commencement Service last Friday morning at the FWCC where 19 inmates received their Associate degrees. One of the guest speakers for the service was Doris Buffet (sister of Warren Buffet), the wealthy benefactor whose Sunshine Foundation had paid for these inmates to pursue their education. Obviously there was a great deal of gratitude expressed to her, and she was, to her credit, humble in receiving it. Several said something like, “Who would have guessed that someone would come along and make someone in prison like me a benefactor of her wealth?” It was very moving. But friends, today we can stand and say that there is a greater Benefactor than any mere human being. It is the God of the Bible who has made himself known in the Son. He has a Son-shine foundation! Are you aware of your new status in Christ? Amidst all the vicissitudes of life, do you know you are an heir of God through Christ? If you hold this status, this position, no man or circumstance may ever take it away from you! If you do not yet have this privileged status does Paul’s description of it not make you desire it? The Vision (5/9/13): Can one approach the Bible with a neutral attitude? There are those who apparently think that it is possible to approach the Bible with a neutral attitude. Their position seems to be, ‘Let us study Scripture as we do any other book. Let us subject it to the same tests as we do other writings. If it proves to be the Word of God, well and good, but, if not, let us accept the fact’…. The so-called neutral attitude towards the Bible is in reality not neutral at all, for it begins by rejecting the lofty claims of divinity which the Bible makes and it assumes that the human mind of itself can act as judge of divine revelation. This is, in effect, to substitute the mind of man as ultimate judge and reference-point in place of God Himself (pp. 26-27). Indeed, when we come to the Bible and encounter the claims that it makes about who God is (holy, just, sovereign, merciful), who we are (sinners), and how God has worked in reconciling us to himself through Christ, we cannot be neutral. We either receive the Bible and submit to it as the Word of God, or we fruitlessly try to make it submit to us. When we come to worship this Sunday and hear the Word of God sung, prayed, read, and preached, what will our attitude be? “And if ye be Christ's, then are ye Abraham's seed, and heirs according to the promise” (Galatians 3:29). "Let us use a secular analogy to illustrate. Imagine, on the one hand, a direct descendent of James Madison, architect and signer of the U. S. Constitution, who is a member of the Communist party, and, on the other hand, a recent immigrant from Poland who fully embraces the U. S. Constitution. Which of the two is the truer American, the one who shares belief in Madison’s system or the one who, though a direct descendent, wishes to overthrow it? Of course it would be the former, not the latter" (p. 99). "Now to Abraham and his seed were the promises made. He saith not, And to seeds, as of many; but as one, And to thy seed, which is Christ" (Galatians 3:16). First, Paul’s concern is for every word of Scripture. Jesus taught that the Lord would not allow one jot or tittle to pass from his written word till all was fulfilled (Matt 5:18). We call this the plenary verbal inspiration of Scripture. Paul’s concern here is over whether a single word (“seed”) should be singular or plural. That distinction makes all the difference in interpretation. Second, Paul is modeling the importance of studying and expositing the Scriptures. Third, Paul is making a sophisticated logical argument against the Judaizers. They had wanted to go back to Moses and law. But he trumps them by going back even farther to God’s covenant with Abraham. Furthermore, the promise to Abraham was not that his seeds (plural) would be blessed but his seed (singular). Not all the physical offspring of Abraham would be blessed but one from his line. And that one of which Genesis 22:18 is Christ. Compare the genealogies of Matthew 1 (vv. 1-2) and Luke 3 (v. 34), both of which show Jesus as having descended through the line of Abraham. 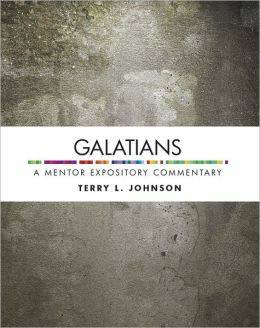 The still further implication that Paul will draw later in chapter 3 as the argument unfolds is that all those who are in Christ as the seed of Abraham will also be blessed by virtue of the fact that they are in him (in union with him; see Galatians 3:29). What matters then is not whether or not you are of the physical descendents of Abraham, but whether or not you are in Christ. 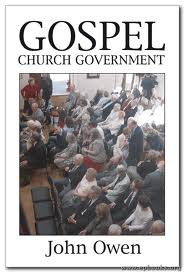 Gospel Church Government was released by Grace Publications in the UK in April 2012. It is a simplified and abridged version of John Owen's classic work on ecclesiology, The True Nature of a Gospel Church and Its Government, which I had the privilege of writing and editing. Peter Culver wrote this review of the book in January 2013 for Evangelical Times. You can listen to a digital reading of W. Gary Crampton's review of the work here. You can also now order the book in the US through Grace & Truth Books.